Dir/Scr: Hsin Yin Sung.Taiwan. 2017. 109mins. spans much of Taiwanese contemporary history since the 1970s in its journey to become a full-fledged democracy. secure a healthy run on the festival circuit. The local political backdrop could also strike a chord with audiences in Taiwan. 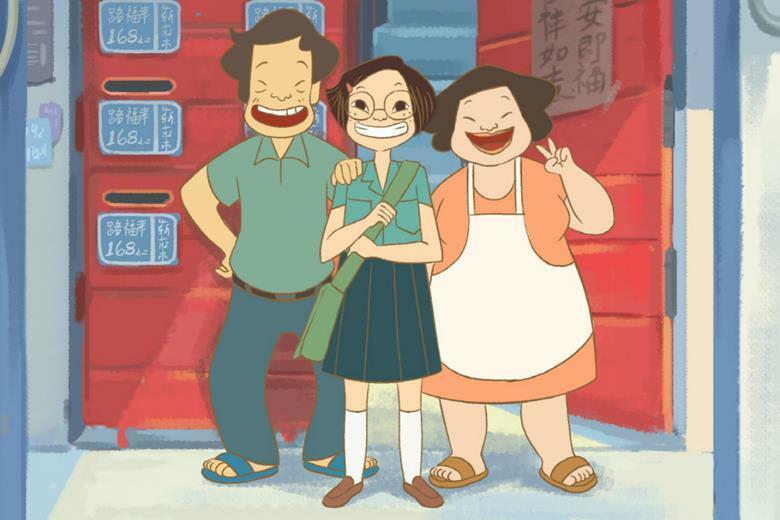 The film follows Chi (voiced by Lun-Mei Gwei), who was born in Taiwan in the mid-1970s and grew up on Happiness Road. childhood, her life at school and her time with her beloved grandmother have all shaped her. Frequently referenced in the story are significant moments in its history, such as the lifting of martial law in 1987 and the death of Chiang Kai-shek, the former president of the Republic of China (as Taiwan is officially known) on April 5, 1975; the very day Chi was born. And Chi was politically active in her youth, striving for a better country along with other protestors demanding democratic freedom. At the heart of the film, however, is a search for happiness; an elusive concept that Chi repeatedly fails to grasp. She has lived the American dream, but realizes that too doesn’t guarantee contentment. Indeed, happiness is something to which all audiences are likely to relate, regardless of nationality or background. This is what makes On Happiness Road a universal tale, even though it’s rooted in Taiwanese history. Compelling and beautifully told through its captivating animation, it also demonstrates that Sung is a talented storyteller. Production Company: On Happiness Road Productions Ltd.
World Sales: Ablaze Image Ltd.